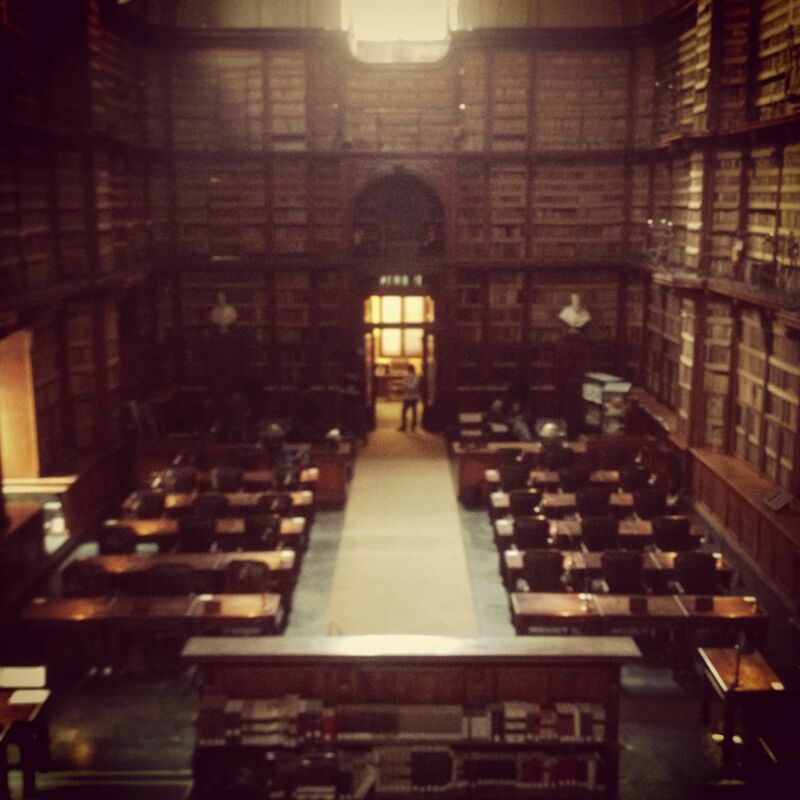 Instagram snapshot I took with my phone of the empty library moments before the artists and the crew arrived. A couple of weeks ago I flew to Rome to shoot the promo for a feature documentary about world famous contemporary artist. It was a fantastic experience and I proud to having been part of it. The project was conceived and directed by my old friend from the Roman days Marco Guelfi, a talented editor whose credits include “I Primi della Lista” a successful comedy feature film directed by Roan Johnson, amongst others. Marco was drawn to the project by one of Italy’s most renowned curator Prof. Bruno Corà, that has recently started a new art magazine named “Mozart”. To promote Mozart’s first issue an installation by Jannis Kounellis and Bizhan Bassiri was set up inside the breathtaking Biblioteca Angelica, a XVI century library set in the heart of Rome, right along side S. Agostino church (that contains the Madonna die Pellegrini by Caravaggio), a scarce hundred meters away from Piazza Navona. The project involved documenting the set up of the artists’ installations and then shooting a few crane shots of the artists themselves by their work. We had full access of the premises and we used a 12 meter jib arm on some 8 meters trucks using a 2 axis remote head, all provided by ArtMotion in Rome, the rest of the camera kit was provided by Soulmovie that will also look after the post. 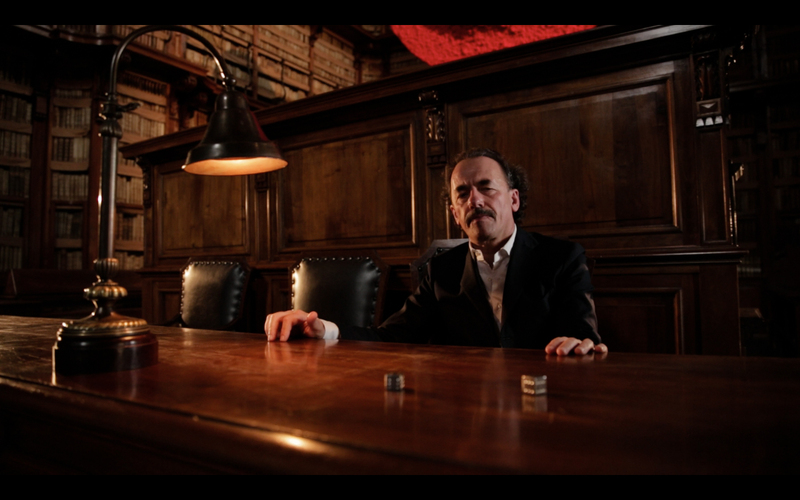 The next few days we shot Rome vistas as well interviews with Kounellis, Bassiri and Corà in their respective homes. Spending time with those two artist was fun and most of all inspiring. Jannis Kounellis (b.1936) requires no introduction. One of the founders of Arte Povera at the end of the Sixties he has been a groundbreaking artist ever since. His works always reflecting a progression on his need of experimentation. Bizhan Bassiri (b.1954) leading figure of the Magmatic Thought, is a plastic sculptor whose art spawns by very interesting thoughts that compare the artistic process to those of meteorites. 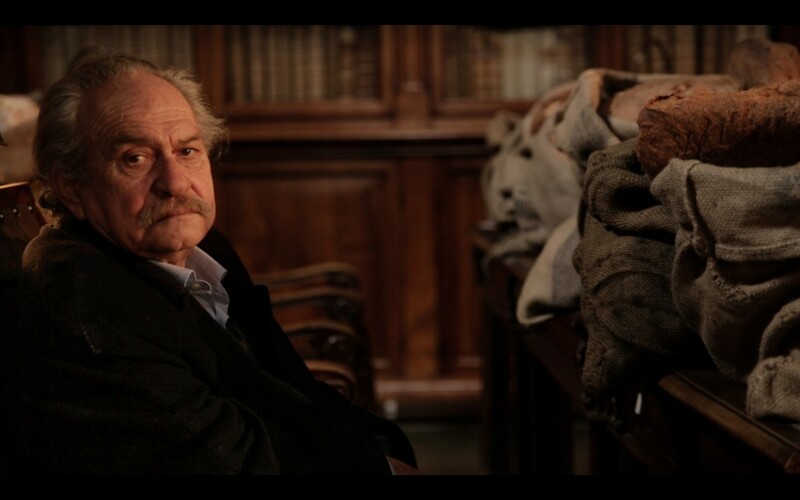 Frame grab from the actual promo footage showing Jannis Kounellis sitting in between the library desks on which he had placed his “Sacks of Bread”. Frame grab from the actual promo footage showing Bizhan Bassiri underneath his sculpture “The Sun”. In front of him, on the desk, are his “Fortune Dice”. 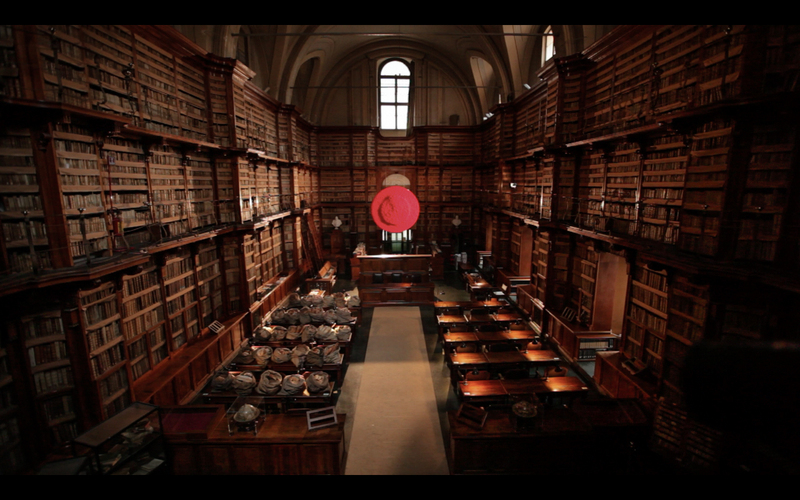 Frame grab from the actual promo footage showing the entire view of the Biblioteca Angelica with the art works installed.